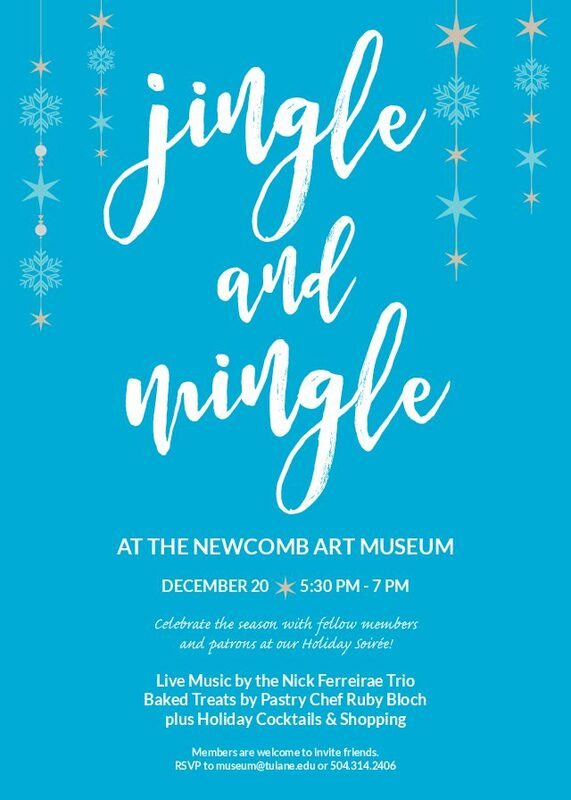 Join us for music, cider & holiday treats as we close out our exhibition “Unfamiliar Again: Contemporary Women Abstractionists” with a member & Newcomb Alumnae holiday party! See the exhibition, mingle with old and new friends, and enjoy a Wednesday night out during the Winter holiday season. The event is free but RSVPs are requested, email museum@tulane.edu to let us know you’ll be joining in! Not a member? Join today and take advantage of all that membership has to offer!